Fine, A. B., Jaeger, T. F., Farmer, T. , and Qian, T. 2013. Rapid expectation adaptation during syntactic comprehension. PLoS One. This entry was posted in articles, Papers, Presentations, etc. and tagged adaptation, Alex Fine, belief-updating, Dave Kleinschmidt, expectation adaptation, expectation-based processing, language processing, language understanding, non-stationarity, psycholinguistics, reading, Richard Aslin, self-paced reading, sentence processing, stationarity, syntactic adaptation, syntactic priming, Thomas Farmer, Ting Qian, variability. In Jaeger and Snider (2013) we wrongly summarized one aspect of the experiments conducted by Bernolet and Harsuiker (2010) on syntactic priming in the Dutch ditransitive alternation. This does not affect the validity of argument, but should nevertheless be noted. … Bernolet and Hartsuiker investigate the effect of prime surprisal in the Dutch dative alternation. 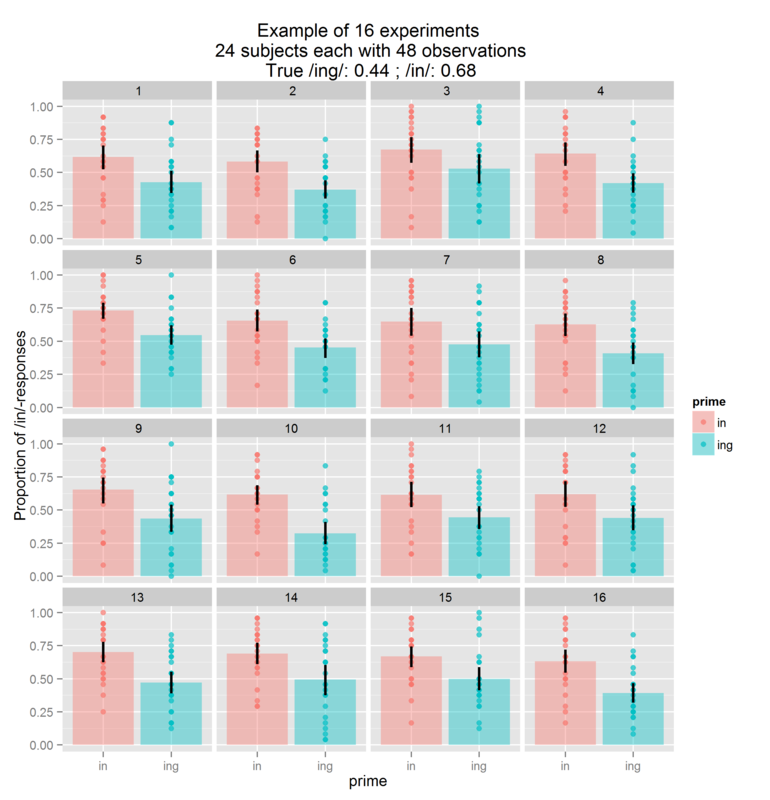 They find stronger priming for more surprising DO primes, but no such effect for PO primes. As a matter of fact, Bernolet and Hartsuiker do not observe any priming for PO primes. 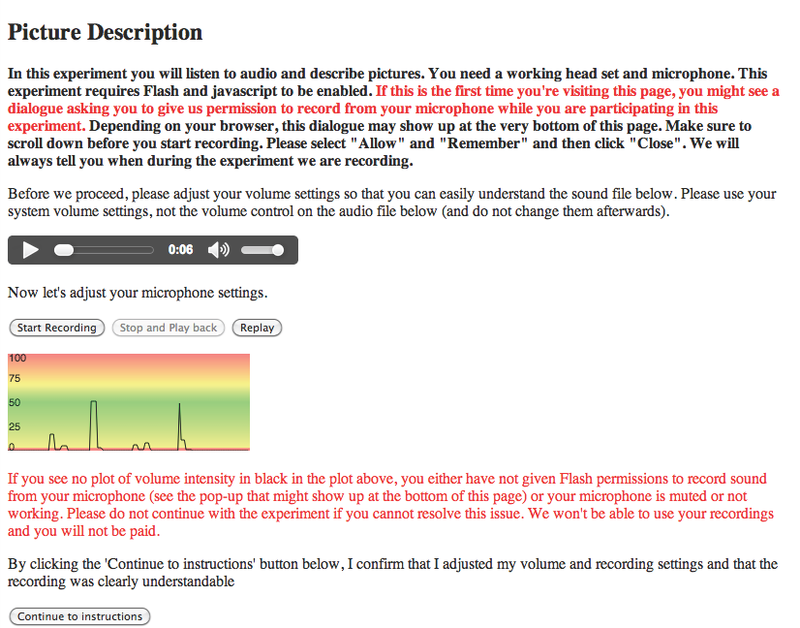 While the first statement about their experiment is correct, the second statement is wrong. Although Bernolet and Hartsuiker observed stronger priming effects for DOs than POs in Dutch, the effects reached significance for both DO and PO primes. This result still goes with the point we were making (that it’s harder to detect error-sensitivity of syntactic priming for structures that exhibit only small syntactic priming effects to begin with). We are sorry for this mistake and appreciate that Sarah (Bernolet) caught it! Jaeger, T. F. and Snider, N. (2013). Alignment as a consequence of expectation adaptation: syntactic priming is affected by the prime’s prediction error given both prior and recent experience. Cognition 127(1), 57–83. doi:10.1016/j.cognition.2012.10.013. This entry was posted in Corrections and tagged Bernolet, correction, errata, erratum, Hartsuiker, psycholinguistics, sentence production, Snider, syntactic corpora, syntactic priming.